Two unusual offerings were laid on the altar at St. Peter’s during the last week. The first was a copy of ‘Memory Lane’ from the Huddersfield Examiner and showed the side chapel screen being erected. Having trouble finding the link on the web, your attention is drawn to the notice board level with the hymn books in church where the cutting is displayed. 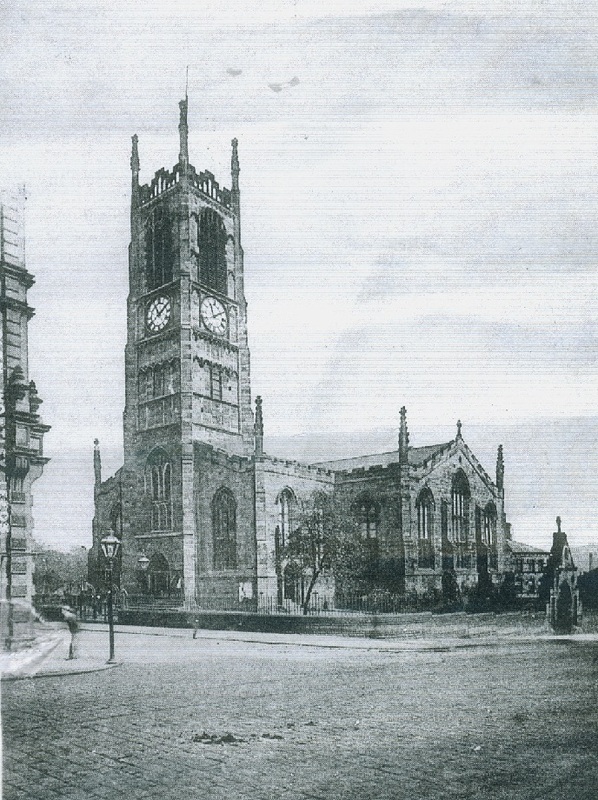 The second offering is a photograph of the Parish Church in times long gone. It must be pre-war, as the railings around the church are clearly visible. From the cobbles, and deposits thereon, it looks like a horse drawn vehicle era. Other people have pointed out the lamps outside the west door. Any other comments may be posted.